This month the humble kebab gets reborn in Portman Mews South, as Roti Chai hosts its first Kebeb Rehab event on Sunday 15th. It's a lunchtime event, with bookings from 1pm - 4pm, and comes as a fusion of Indian and Turkish dishes, from Rohit Chugh with 'kebab officianado' Zeren Wilson, and Turkish chef, Hulya Erdal. More to come, we hope! 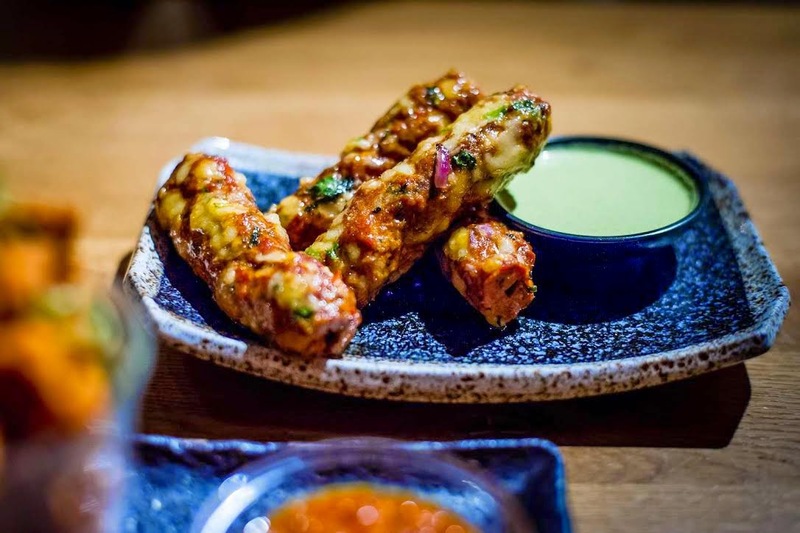 "Over the next few months Roti Chai hosts a series of Sunday Socials celebrating the humble and often misunderstood kebab. In many countries the kebab is an iconic preparation and recipes, which have been developed over generations, are kept as closely guarded secrets. Roti Chai founder, Rohit Chugh, knows the passion and skill involved in preparing and cooking quality kebabs in India, where each region has its own specialties and a discerning audience. Kebab Rehab kicks off on Sunday 15th June in the Roti Chai Dining Room with a unique collaboration. Rohit has teamed up with kebab officianado, Zeren Wilson, and Turkish chef, Hulya Erdal, to create a special IndoTurk menu. The ethos of the Sunday Socials is for guests to enjoy comfort food with traditional flavours and a few modern twists, all in a relaxed environment on a Sunday afternoon. Seekh Kebab | a venison and apple take on the classic Indian favourite"
Bookings - £30 per person. Reservations, from 1pm to 4pm, can be made by emailing (infowala@rotichai.com) or calling Roti Chai directly.